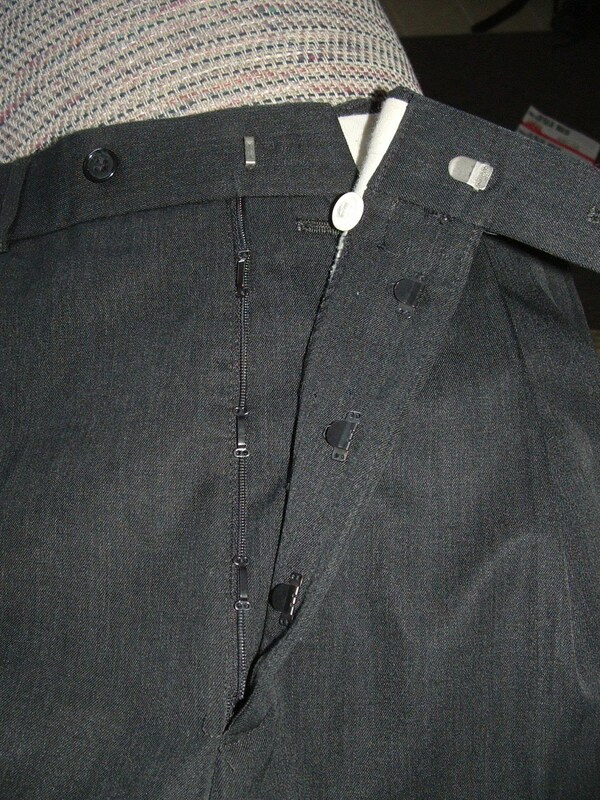 Since I just posted about Boy's new church pants, I figured this was a good time to post about Hubby's suit repair. 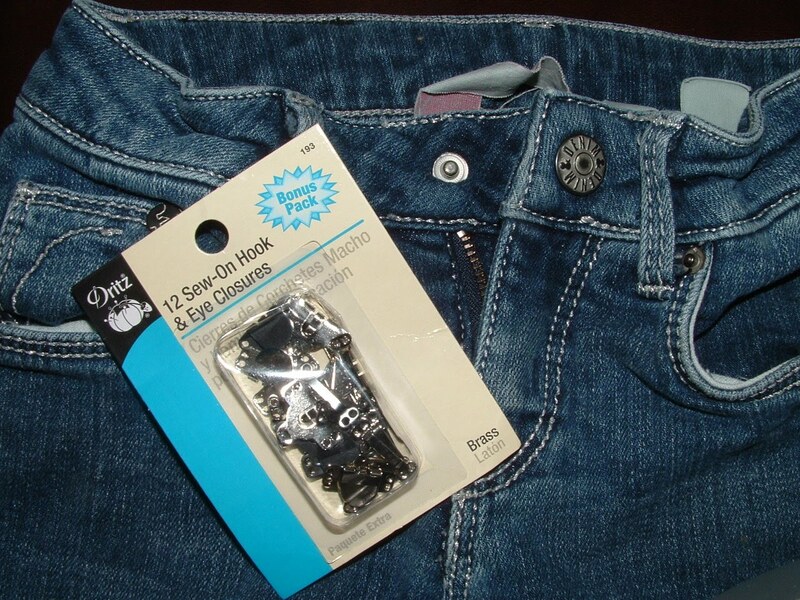 They zippers are cheap to make, but a pain to fix. So true! 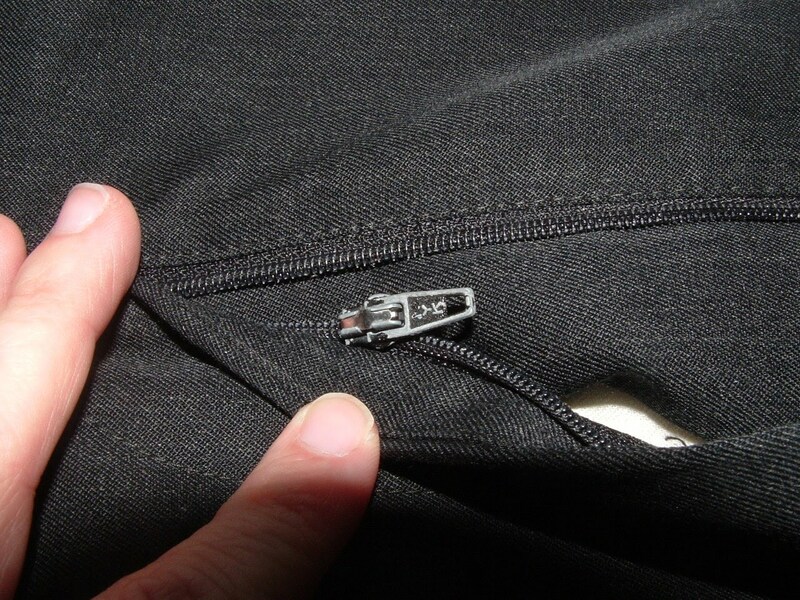 Once zippers are sewed in, it's usually really hard to change them out without undoing a lot of seams. 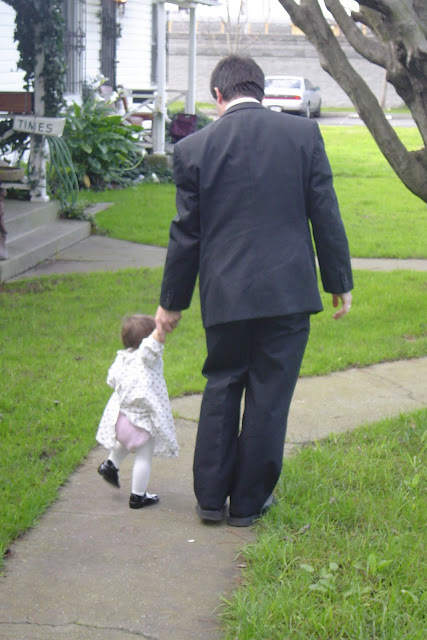 Hubby has a 2-pants suit that that he got before going on his mission...over 13 years ago. Of all his church attire, it's still his favorite (even though I've been beginning to prevail upon him that machine washable pants are more practical when you've got little kids around.) Anyway, considering the suit and pants are 13 years old and have had fairly regular wear, they're in pretty good condition. About a year ago, the zipper gave out on one of the pairs of pants. (You can see here, it's attached to one side, but not longer attatched to the other side. I bought a new zipper quite a while ago, but the pants have been sitting in the mending pile because I've been too intimidated to try to replace the zipper. The pants have all sorts of linings and things and I'd have to undo some of them and mess with the waistband. As tempting as it was to just call them ruined and make the pants into matching pants and vest for Boy, I figured I had to attempt a repair. Then I realized I still had a bunch of hook and eye latches for pants from when I fixed Firecracker's snap problem, so I thought I'd try them on Hubby's pants. I had to take out the part of the zipper that had the zippy thing still attached. 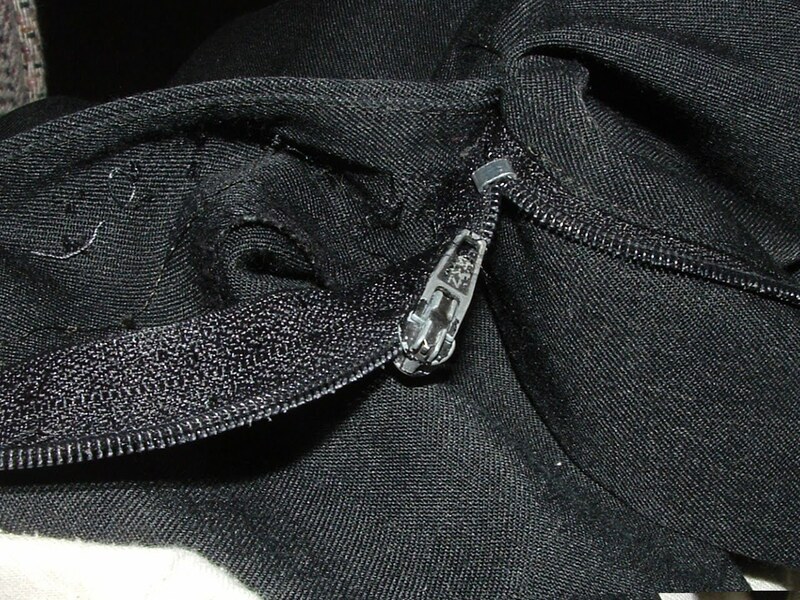 I just used a seam ripper to take out the stitching on that part and snipped that side of the zipper off. It was going to be a pain to take out the other side, so I just left it. And this is what they ended up looking like. And now Hubby has a 2-pants suit again instead of a 1-pants suit. Wow! Great idea. I ended up taking a pair of pants to a friend to fix a zipper a few months back. She did it for two dollars . . . it probably would have cost me more in sanity dollars, so it was worth it. However, this is a great tip to keep in mind for next time. Kathy that is a funny story. I can't believe that those pants are 13 years old! Great idea!! Far less intimidating than trying to replace the actual zipper.